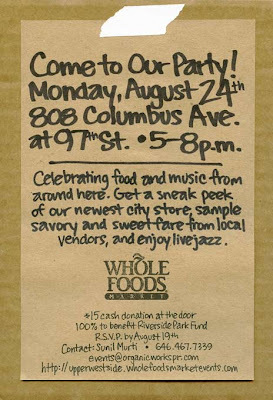 Sample food, enjoy jazz music and a whole new Whole Foods store! August 24th, from 5pm @ 808 Columbus Ave. and 97th street. This is only for the remaining days of August. Take advantage! The official opening of the ‘Wish You Were Here’ LES pop-up – the weekend celebration will include a Taste of London, late night shopping, pedestrian walks, plus more surprises to come! Location: Municipal Parking Lot – Broome St. between Ludlow St. and Essex St.
Come down to the LES for a live fashion showcase on Orchard Street. Featuring designs in three categories: Eco & Vintage, London Looks from the ‘Wish You Were Here’ pop-up, and looks from multi-generational boutiques & new designers. The event will also include live sets from London DJs, Local Business Discount Day, and events from the Ladies Lotto Block Party. 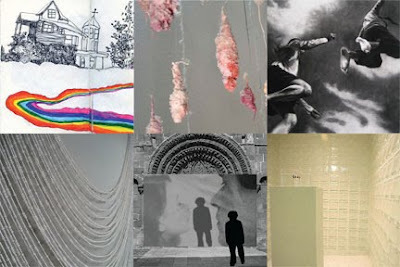 I've heard that this summer's UBS art gallery opening will be held this coming Thursday, 8.20 from 6pm to 8pm, with the theme AGAINST EXTREMES. FIVE DECADES OF PAINTINGS. UBS, 1285 Ave of the Americas, 51-52 St. Apologies guys but this is a posting for women only. Ladies, when you leave your bag behind and you are hitting for the closest club to dance the night away, you still need a cute, small item for your keys, money and maybe a tiny cell phone! 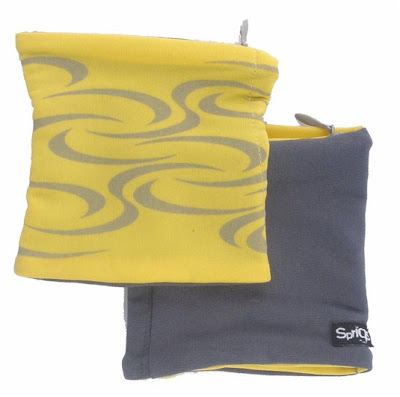 The solution came from Sprigsville and is called Banjees, a zippered wrist wallet. 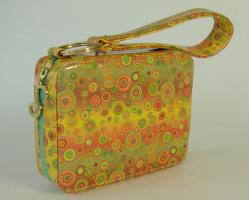 So, forget about your bag, put on the banjee and keep your valuables in a safe place. 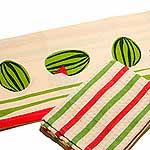 Banjees are reversible for two fun style options (solid or a fun stylish print). One size fits all, ideal for nights out and also sports and travel! But for those who still want to carry their bag throughout the night and don't want to embarrass themselves with unlucky accidents (like tampon falling out from the purse), Suzanne's discreet chic accessories can do the job. 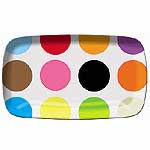 This small party and travel accessory focus on the active woman whether she is traveling, working, playing or merely looking for a way to carry her feminine products or undergarments in a discreet and chic fashion. So ladies, no more excuses and complains. You can have everything. It is time for a mojito. 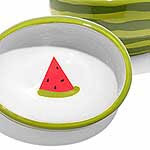 The summer is fully present, at least in the New York area, so if you have a backyard and you just about to entertain your friends tonight or very soon, here are some cute solutions and supplies from http://www.plumparty.com/. It was one of Marc's canapés the cause of this interview. The watermelon with the fried bacon on top (seen in my amateur-ish picture) was innovative and of superb taste. Marc answered patiently to all the questions I asked, in a delicious, as his food, way. FB: How you came up with On the Marc? MW: I didn't really come up with on the Marc as much as it was an evolutionary step of private chefing and small intimate dinner parties. I started out doing small dinners for my friends parents and my parents friends and the parties kept getting larger and larger and more and more frequent. I never did any advertising or marketing to grow the company. It grew purely based on word of mouth. FB: What’s your favorite canapé from On the Marc? MW: My favorite canape is a Maine Lobster Roll. I do one with butter in the winter and in the summer I do an olive oil mayo, with herbs and lemon. FB: What have you been serving this summer? MW: In the summer I like to do lots of fresh salads and room temperature proteins. I like to keep it light, seasonal, and fresh. Things you don't mind eating on a hot day and that won't negatively affect your beach body. MW: I don't really have a culinary secret... I do pay a lot of attention to execution and making sure everything is properly seasoned and perfectly cooked. It is also important to consider balancing flavors and texture. FB: Any particular favorite tastes? MW: I don't have a favorite taste. I am an equal opportunity taster and eater. I like to make sure everything is balanced. 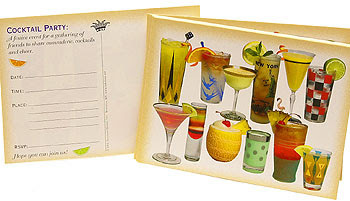 MW: I like mojitos, Gin and tonics, and anything good quality vodka shaken over ice. MW: I don't really eat snails. The idea of it just grosses me out. MW: Maybe open a satellite store where people can buy my food without having to have a huge party. It will also keep me busy during the week when nobody entertains. MW: My favorite meal was eaten at Masa. It was an experience unlike any other. Don't miss the car-free zone each Saturday in August from 7am to 1pm. Starting from today! Join Kathlin Argiro and Womensphere for a unique opportunity to network with top executives and entrepreneurs who are building sustainable ventures featuring social change initiatives! Meet women who are building sustainable businesses, working in the "green space", and creating brands with a social impact. Don't miss this opportunity to get inspired and get connected! The event is FREE, but registration is required. Limited to 50, first come, first served! If you like luxury cars, join fellow luxury car fans at Martin Cadillac , Wednesday, August 5th for a private viewing of the latest fine automobiles from Cadillac. Stars of the night include the all-new SRX Crossover and the hot CTS Sport Wagon . We’re big fans of CCC's blazing, 556HP CTS-V Sedan... the CTS Sport Wagon combines the same track sensibility with 58 cu. ft. of cargo space. See them here first. Martin Cadillac is CCC’s only source for GM vehicles and is celebrating its sixth consecutive year as a Cadillac Master Dealer. High octane cocktails provided by Ciroc Vodka. The infamous DJ Suss One will be spinning.